I am a newcomer to LaTeX and came across PGF/TikZ by chance. Currently I try to draw the function graphs f(x) in PGF/TikZ, but with no success. 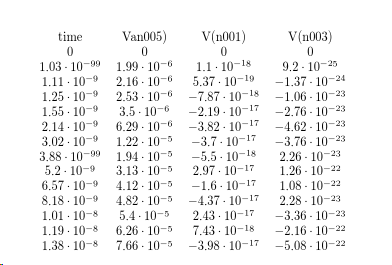 Can anyone help me to read the data file from LTSpice with PGF/TikZ and draw them afterwards?
! Text line contains an invalid character. the ^^@ are always an indication of UTF-16, as @ is character 32 so control-@, ^^@ is character 0 so the log is showing that you have a null byte between every character, which is exactly the encoding UTF-16 for characters in the ASCII range. Not the answer you're looking for? Browse other questions tagged tikz-pgf tables input-encodings or ask your own question. How can I put a coloured outline around fraction lines?